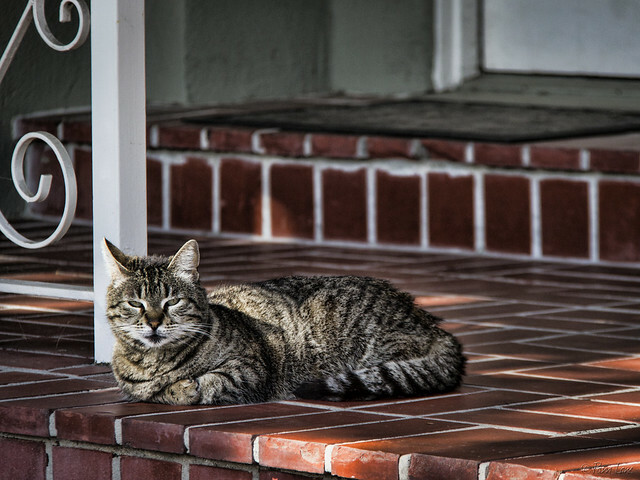 A cat on the porch is a peaceful thing. A dog at the window will bark and race around, either in welcome or warning. But the cat lies quietly, and just watches through half-closed eyes. Very poetic! This appears to be an older cat who is happy to soak up some sun.